Keywords; do you really need them? Well yes, of course you do. What a crazy question. But, nowhere near as much as you may think. A recent study by SEMrush really caught my eye. They established that keywords in page content sits in the lower half of the requirements to enable good organic rankings. There are many other factors which really take precedence over having a load of keywords on your page. As we tell all of our clients; “aim to give your customer what they want to see and you will increase your page rank naturally”. By having quality content, a user will engage with your page, website and brand. Search engines will track how users interact with a page and rank accordingly. Here we can see the results of research on 600,000 keywords, whilst identifying the top 12 consistent factors of influence. 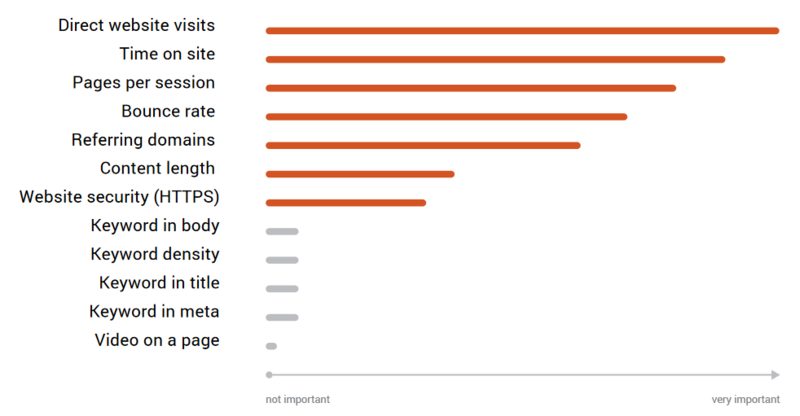 We can see from this research that there are many more factors much more important than just putting a load of keywords into your content. Time on site, pages per session and bounce rate are directly linked to you offering quality, readable content. So obviously, to enhance these metrics you need to write engaging content which means the user wants to browse your site and take in your content. Focus on customer journey to ensure that your website is designed to ensure straight forward navigation. Obviously, the next question is how do you increase time on site, pages per session and bounce rate without keywords? Well you don’t. 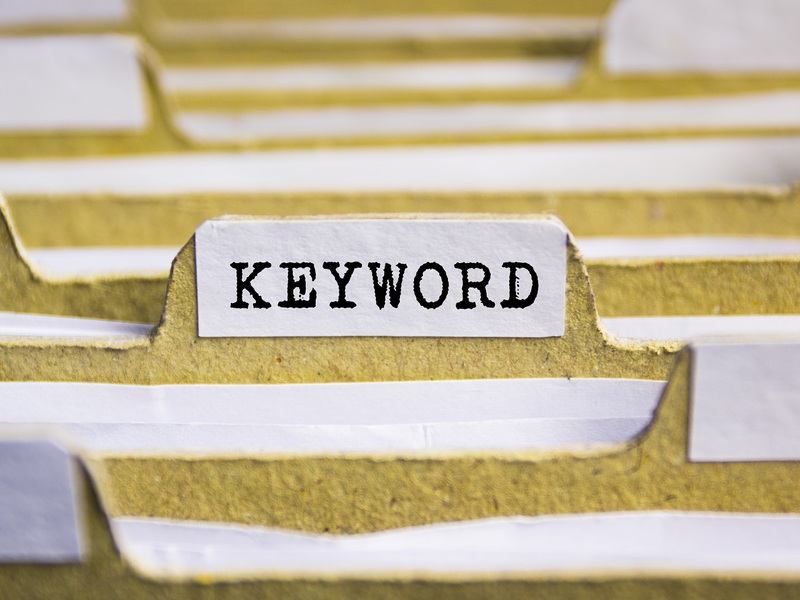 You do need to add relevant keywords, but use them correctly. Talk in context. Add images. Create a conversation flow. Break a good sizeable content length up into bite size chunks. Basically, a block of text with stuffed with keywords (or the same keyword 15 times) would not pass any Flesch reading test. So just don’t do it. Referring domains is a little tougher as you need to get other (preferably higher) authoritative domains to link to your website. For example, if you have a business location and want people to find you, then list for free on Google My Business, Yell and Thomson Local. If you can get article(s) in written local newspapers then ensure they link back to your website. Also, don’t forget the direct visits are the number one ranking factor, so even an offline publication that references your site will help your rankings. Google has pushed website security massively this year (2017) and any site without an SSL is going to suffer. Check out a previous SSL article for more information on this. Always remember that you are aiming to offer a product, a service or knowledge. You should not be (directly) trying beat Google, Bing or Ask Jeeves (?) by pumping in keywords to rank your pages higher. The clue is in the name. ‘ORGANIC’. The page rank is a direct result of you doing a good job in the first place for your customers. Google wants to recommend the best content. So product the best content you possibly can. Simple.